missing just the next, I need ! Last edited by Explorer on Wed Jan 30, 2019 23:01, edited 1 time in total. That should work both ways. 0.4.16 client can log in to Final Minetest server too. ok, client is running, even I have both open and will be able to compare. 2019-01-30 15:51:40: ERROR[Main]: Subgame  could not be found. * [mod] plantlife - junglegrass - Loaded. * [Mod] towercrane - loaded! * [Mod] televator - loaded! * [Mod] smartshop - loaded! * [Mod] moreores - loaded! * [Mod] morechests - loaded! * [Mod] digilines - loaded! * [Mod] nixie-tubes - loaded! * [Mod] digiline_remote - loaded! * [Mod] crafting - loaded! * [mod] plantlife - youngtrees - Loaded. * [mod] plantlife - Poison Ivy - Loaded. * [mod] plantlife - molehills - Loaded. * [mod] plantlife - bushes - Loaded. * [Mod] extraores / xtraores- loaded! * [Mod] Pipeworks - loaded! * [Mod] moremesecons - playerkiller - loaded! * [mod] plantlife - trunks - Loaded. * [mod] plantlife - woodsoils - Loaded. * [mod] plantlife - nature classic - Loaded. * [mod] plantlife - bushes classic - Loaded. * [Mod] sdecor - loaded! * [Mod] digtron - loaded! 2019-01-30 18:02:35: ACTION[Main]: [BitChange] Loaded. * [Mod] inventorybags - loaded! And after all this, first have to think about which of all the failed or even complaining mods are really needed to use time to fix them. 2019-01-30 16:47:24: ACTION[Main]: Server for gameid="minetest" listening on x.x.x.x:30002. [Biome Lib] across 47 actions with air-checking and 4 actions without. I cleaned up both SSD to be sure, the main disk has 49 GB from 117 GB used, home itself is 38 GB, as just the minetest World had 16 GB at this time. Last edited by Explorer on Wed Jan 30, 2019 11:10, edited 1 time in total. after I cleaned up, and didnt do anything a while I tested again and server is there. I go testing some and report. so will false the mod "Better Hud" and try again. So better I false the profiler at .conf and try, as the profiler also failed at the 0.4.17 version since long time. Slopsbucket: If you like, what conclusions and/or changes arise out of these efforts? Explorer / Festus1965: Thank you kindly for the experiments. But now it is time for this Old Coder to rest. No Problem, but the earlier I try the more time we have. 1. My understanding is that an official release of Old Minetest 5, the buggy fork of genuine Minetest, should be ready in a few days. If you build Old Minetest 5 today using the dot-net sources stored at GitHub, it should be close to the official dot-net release. 2. If you build Final Minetest 5 instead, remember to use our build kits so that you get the improved LuaJit and Irrlicht. The improved LuaJit should help, to some extent, with OOM crashes. 3. You'll get further with Final Minetest 5 soon. Whether or not it meets your requirements, unlike the hostile group in Old Minetest, the Final Minetest group is here to do what is possible. This is in contrast to the hostile group, which is famous for telling world hosts to "f*ck off" if they presume to express concerns related to stability and compatibility. 4. The dot-net group consists largely of anonymous spoiled children in Halloween costumes. Do they have Halloween and spoiled children in Germany? Yes, I'm aware that you're no longer there, but we carry our homelands with us. You're old, Thomas. Slopsbucket and I are old as well. Skilled, honest, and steadfast as well. Come to the Old Side of the Test. OldCoder wrote: Slopsbucket: If you like, what conclusions and/or changes arise out of these efforts? I have no hard information here, just thoughts. I think there are two separate problems. The first is remarkably similar to a problem I had with that laptop I did the other day. It had both a ssd and a hdd. Installing Fedora or Ubuntu on the ssd kept having boot errors. Sometimes it would even boot up, then crash. I installed Ubuntu on the hdd and it worked perfect straight away. I told the girl that I thought the ssd was kaput. After reading this I am thinking again, there may be settings in BIOS for how the ssd is handled. This may be what was wrong. But the girl has her laptop back now and she is happy with it, I can not check. The other problem I think, but I am not sure, may be to do with the version of minetest_game not being properly compatible with the newer Minetest Engine. I tested, but I did not test with a lot of mods loaded. It's the " Undeclared global variable" errors that make me think this. Or it could just be one mod causing the problem. First it had an error, then it loaded? That doesn't make sense. I will test thoroughly tomorrow, after I've had a good sleep. 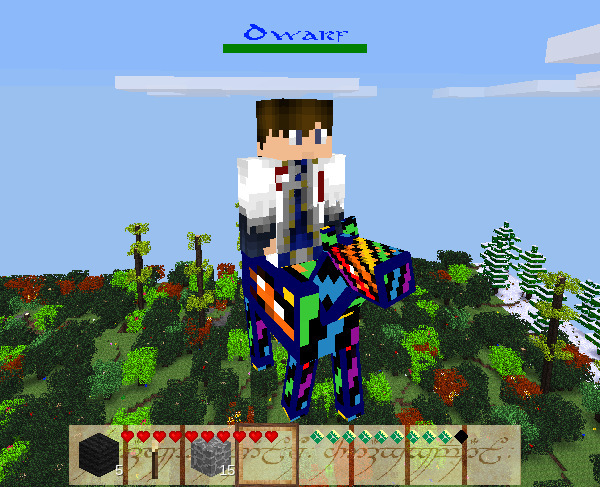 I have a copy of minetest_game from 0.4.16-stable to test. I have to ask though, Explorer, is the minetest_game you are using just straight from minetest.net? Or have you made some changes to it? I'll tell you more in the morning. it is YOUR .org kit I used to to make, but your kit and website has no minetest_game what I used as base. So at this point: is there one, will there be one, or what use alse to keep world same ? As, after started the server to the point I can login, all was running! Mods complain like the jail is easy, i just decraled no jail area yet, but if you think, i false it tomorrow. As I see last, it all happen when I login (using your win-5.0-64 under wine) then that failure comes up, with (see my first sentence) complaining about "minetest_game/default/init.lua" what is from .net, and I am sure an old version. I still didn’t fiend the .net DEV sources, where I hope to get a dev of minetest_game, (when at .org is no one). I think that is the point of the crash now, there (old) minetest_game is not fixing to your (new) code to 5.0.
and beside I changed my www.minetest.one site and build another downloads.minetest.one - you may have a look, and test a download if it is speedy. 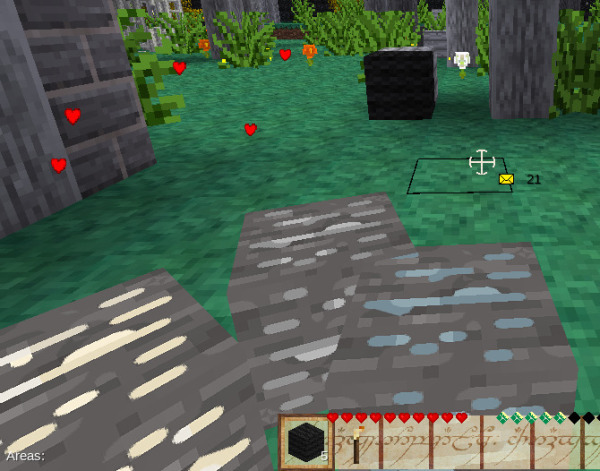 Both the Linux build kit and the Windows build kit include a large Minetest game named Bucket Game. Bucket Game is far more complete than "minetest_game". 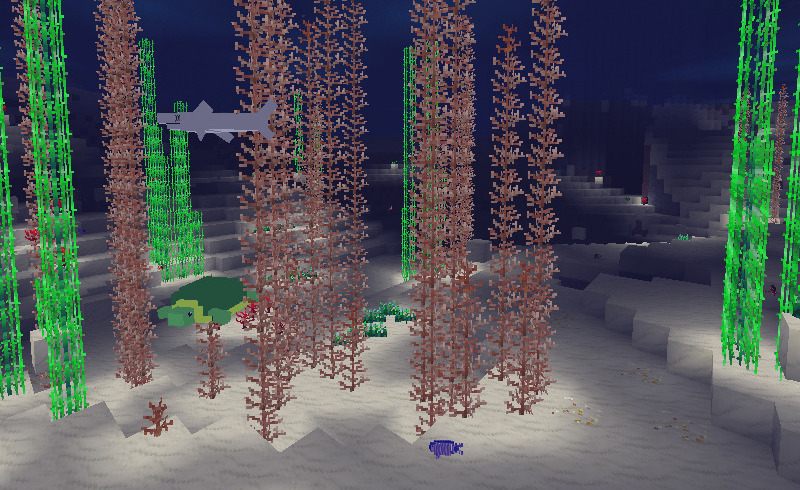 It includes versions of Home Decor, Technic, More Trees, WorldEdit, superior sea-plants, a 64x32 skins system, and both 2D and 3D mobs of numerous types. However, the "_game" is designed to be lightweight and should support Android clients. You don't need to do anything special to install Bucket Game. The build kits install it automatically. It's right there, ready to use. The build kits also install two prebuilt worlds, quite different but both based on the same "_game". 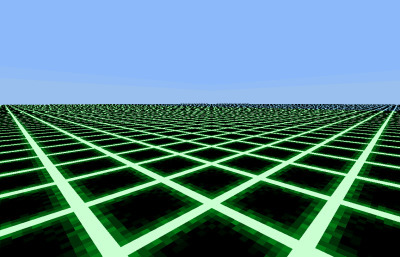 One of the features of the "_game" is that it's highly configurable and be used to make worlds of different types. You only have to deactivate the mods that are already in Bucket_Game, otherwise they crash when the same mod gets loaded twice. I'll go through the list and mark which ones to deactivate for you. I'll edit it into this reply when I'm done. I am wake up and tried just as I thought yesterday. 2019-01-31 05:40:49: ACTION[Main]: Server for [b]gameid="minimal"[/b] listening on 192.168.65.203:30002. 2019-01-31 05:41:05: ACTION[Server]: Thomas [192.168.65.203] joins game. it still refers to "games/minetest_game/mods/default/init.lua:12>"
and when i delete that added folder game_minetest in games folder happen this: no any mod is found ! 2019-01-31 05:46:58: ERROR[Main]: torybags" "junglegrass" "lagcheck" "lamps" "localisation" "locks" "mail" "mapfix" "markers" "mesecons" "mesecons_alias" "mesecons_blinkyplant" "mesecons_button" "mesecons_delayer" "mesecons_detector" "mesecons_doors" "mesecons_extrawires" "mesecons_fpga" "
2019-01-31 05:46:58: ERROR[Main]: ches" "towercrane" "travelnet" "treecapitator" "trunks" "u_skins" "unified_inventory" "wiki" "woodsoils" "worldedit" "worldedit_commands" "wrench" "xdecor" "xtraores" "xtraores_armor" "youngtrees"
2019-01-31 05:46:58: ERROR[Main]: mod "hec_diamaster" has unsatisfied dependencies: "hec_nether" "mobs"
2019-01-31 05:46:58: ERROR[Main]: mod "hec_nether" has unsatisfied dependencies: "default"
2019-01-31 05:46:58: ERROR[Main]: mod "hec_nopvp" has unsatisfied dependencies: "default"
2019-01-31 05:46:58: ERROR[Main]: mod "hec_obsidian_stuff" has unsatisfied dependencies: "default"
2019-01-31 05:46:58: ERROR[Main]: mod "hec_treasuries" has unsatisfied dependencies: "mobs_monster" "default" "farming"
2019-01-31 05:46:58: ERROR[Main]: mod "hec_vicount" has unsatisfied dependencies: "default"
2019-01-31 05:46:58: ERROR[Main]: mod "mr_goat" has unsatisfied dependencies: "mobs" "default"
2019-01-31 05:46:58: ERROR[Main]: mod "spectator_mode" has unsatisfied dependencies: "default"
2019-01-31 05:46:58: ERROR[Main]: mod "trash_can" has unsatisfied dependencies: "default"
2019-01-31 05:46:58: ERROR[Main]: NodeResolver: failed to resolve node name 'mapgen_stone'. 2019-01-31 05:46:58: ERROR[Main]: NodeResolver: failed to resolve node name 'mapgen_water_source'. 2019-01-31 05:46:58: ERROR[Main]: NodeResolver: failed to resolve node name 'mapgen_river_water_source'. 2019-01-31 05:46:58: ACTION[Main]: Server for gameid="minimal" listening on 192.168.65.203:30002. I now get into a world full of unknown blocks ..., but from the shape of all, it is the position I remember. even the block I stand on, is an mithrilchest, i can open, and see "all unknown blocks"
2019-01-31 05:51:28: ACTION[Main]: Server for gameid="Bucket_Game" listening on 192.168.65.203:30002. It keeps telling me connection timed out, like it is not online. 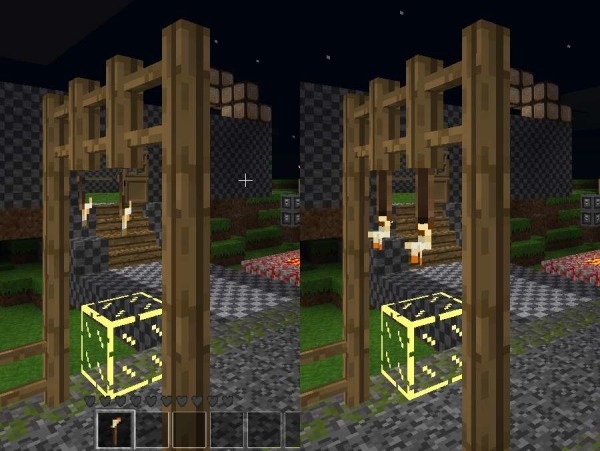 Also, the mods we added to Bucket_Game don't show up as mods because they are inside the game itself. Last edited by slopsbucket on Thu Jan 31, 2019 02:48, edited 1 time in total. so maybe now, after IPs are updated. yes, i guess that I don’t see these mods, but my hole area is just full of unknown blocks, what cant be, as there is normal grass and stone also, glass, and some better build with iron-blocks etc. lights and trees from normal up to more-trees, so that is wired. Last edited by Explorer on Thu Jan 31, 2019 03:55, edited 1 time in total. It's very strange, every single node is unknown, even the default nodes. Almost like there is no copy of _game. Please note that it is case sensitive. I think I might have found what is wrong. I don't know, but it would only tak a few minutes to test. ./bin/minetestserver --gameid "Bucket_Game" --world "/home/thomas/minetest-5/worlds/CelinesWildesThailand" --config "CelinesWildesThailand.conf"
P.S. I think the reason I was having trouble logging in is because I am on a satellite connection. 2019-01-31 14:53:53: ERROR[Main]: torybags" "junglegrass" "lagcheck" "lamps" "localisation" "locks" "mail" "mapfix" "markers" "mesecons" "mesecons_alias" "mesecons_blinkyplant" "mesecons_button" "mesecons_delayer" "mesecons_detector" "mesecons_doors" "mesecons_extrawires" "mesecons_fpga" "
2019-01-31 14:53:53: ERROR[Main]: ches" "towercrane" "travelnet" "treecapitator" "trunks" "u_skins" "unified_inventory" "wiki" "woodsoils" "worldedit" "worldedit_commands" "wrench" "xdecor" "xtraores" "xtraores_armor" "youngtrees"
2019-01-31 14:53:53: ERROR[Main]: mod "hec_diamaster" has unsatisfied dependencies: "hec_nether" "mobs"
2019-01-31 14:53:53: ERROR[Main]: mod "hec_nether" has unsatisfied dependencies: "default"
2019-01-31 14:53:53: ERROR[Main]: mod "hec_nopvp" has unsatisfied dependencies: "default"
2019-01-31 14:53:53: ERROR[Main]: mod "hec_obsidian_stuff" has unsatisfied dependencies: "default"
2019-01-31 14:53:53: ERROR[Main]: mod "hec_treasuries" has unsatisfied dependencies: "mobs_monster" "default" "farming"
2019-01-31 14:53:53: ERROR[Main]: mod "hec_vicount" has unsatisfied dependencies: "default"
2019-01-31 14:53:53: ERROR[Main]: mod "mr_goat" has unsatisfied dependencies: "mobs" "default"
2019-01-31 14:53:53: ERROR[Main]: mod "spectator_mode" has unsatisfied dependencies: "default"
2019-01-31 14:53:53: ERROR[Main]: mod "trash_can" has unsatisfied dependencies: "default"
2019-01-31 14:53:53: ERROR[Main]: NodeResolver: failed to resolve node name 'mapgen_stone'. 2019-01-31 14:53:53: ERROR[Main]: NodeResolver: failed to resolve node name 'mapgen_water_source'. 2019-01-31 14:53:53: ERROR[Main]: NodeResolver: failed to resolve node name 'mapgen_river_water_source'. 2019-01-31 14:53:53: ACTION[Main]: Server for gameid="Bucket_Game" listening on 192.168.65.203:30002. It's not able to find Bucket_Game for some reason. (a) In bash or sh, double quotes should make no difference in the context of an underscore. If you've observed a difference in the past, something unusual is going on. (b) People probably shouldn't try to create a random mix of Bucket_Game and other "_games" as the first step. The first step should be to get a world up and running using only Bucket_Game. (a) Don't try to mix other mods and Bucket_Game initially. Just get Bucket_Game working to start with. We can look at other mods after that. (b) Remove the "worldmods" folder, if it exists. (c) Check your "world.mt" file. Confirm that "Bucket_Game" is specified there. (d) The string "Bucket_Game" is case-sensitive. The "B" and the "G" must be upper-case. (e) Post or email a copy of your "world.mt" file. One of these steps should get us to the next stage. (c) "world.mt": I Confirm that "Bucket_Game" is specified there NOW. Yes, that i forgot. It is, as I was doing the minetest_game there also, but did it out now again. Did, and server is back on again. 2019-01-31 17:59:13: WARNING[Main]: Supplied unrecognized debug_log_level; using maximum. 2019-01-31 17:59:13: ERROR[Main]: The following mods could not be found: "euban" "lagcheck"
2019-01-31 17:59:14: WARNING[Main]: Node default:brick has a palette, but not a suitable paramtype2. 2019-01-31 17:59:14: WARNING[Main]: Node default:clay has a palette, but not a suitable paramtype2. 2019-01-31 17:59:14: WARNING[Main]: Field "height_min": Deprecated: new name is "y_min". 2019-01-31 17:59:14: WARNING[Main]: Field "height_max": Deprecated: new name is "y_max". 2019-01-31 17:59:14: WARNING[Main]: Node moreblocks:super_glow_glass has a palette, but not a suitable paramtype2. 2019-01-31 17:59:14: WARNING[Main]: Node moreblocks:trap_super_glow_glass has a palette, but not a suitable paramtype2. 2019-01-31 17:59:16: ACTION[Main]: Server for gameid="Bucket_Game" listening on 192.168.65.203:30002. The rest is sure out of Bucket_Game, so have fun ... I have to see if I have time to get in today, just back from school pick up. This is good news. It was just something simple after all. Your normal minstest_game should work as well, remember to change gameid in world.mt file. I tested again with game from 0.4.16-stable and it had no problems. I added about 12 mods including technic, homedecor, pipeworks, mesecons. All no problem. Bucket_Game has a cut down version of technic in it that you might want to use, it doesn't need pipeworks or mesecons but it also doesn't give you as much stuff, only low voltage and medium voltage machines and the chests. It will conflict with the full version of technic. Bucket game might be a better option for you because it has a lot of bug fixes, and it has coderedit, OldCoder's rework of worldedit. But now you can play with it and make it work how you like it. Mods should work in the normal mods folder or in the worldmods folder the same as they always did.The only problems will be conflict if the same mod is already included in Bucket_Game. I think the only exception is 3D_armor. Please let us know when you have more problems. P.S. That is part of life - there's always more problems. I don't know if this mod will conflict with Bucket_Game or not, I just loaded some of the trees into default/trees.lua after making schematics of some nice ones. we'll probably get around to adding the rest of them this way soon. The dirt_with_coniferous_litter that is under the pine trees? I left that out of my version of the game because I thought it was very ugly, the bushes too. 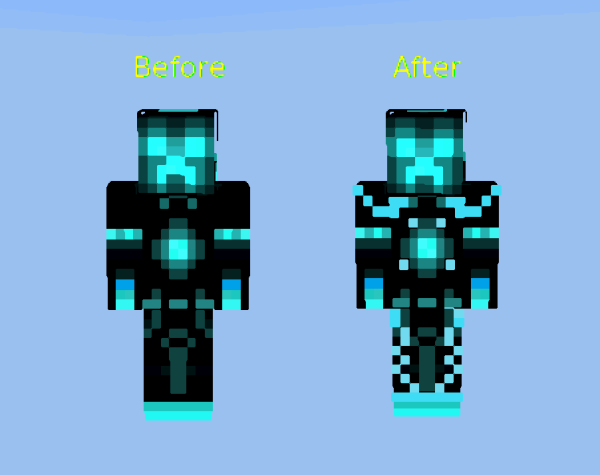 If you use the same version of minetest_game that you were using before they will all come back. as too keep compatible better I let here then minetest_game go ? and use only what is there and will be updated / upgrtaded services = also less coding work. So next days I will put some of the missed mods back in folder and enable them, and test each new step, if failure, conflicts or all ok. So step by step to full old world. Will take some time, and I will then ask for help, otherwise just report the status until I have got all that need and work, and that need and don’t. At that position, time ... we will come together to discuss, whatever. Sure will get into next week. This post is just to clarify for new readers, and to give quick answers for those that need them. There were two potential answers to Explorer's problem. We're not sure which because he did both in one go. I can't blame him for this, he's got kids waiting for it. Is that not the entire point of this whole exercise in the first place? Possible issue #1 was an easy mistake and I still make the same mistake myself sometimes. You forget these sorts of things surprisingly often when you're constantly checking version after version. #1 - Don't forget to edit the world.mt file so that it lists the correct game under gameid. * That was the address for where the game was installed on Explorer's computer. Please edit the PATH= in that line to reflect your own system. * You can also do the same in Windows but it's been so many years I couldn't begin to remember how. It would be helpful if someone else could post that information. I'll post a copy of the command in this post too for completeness's sake.